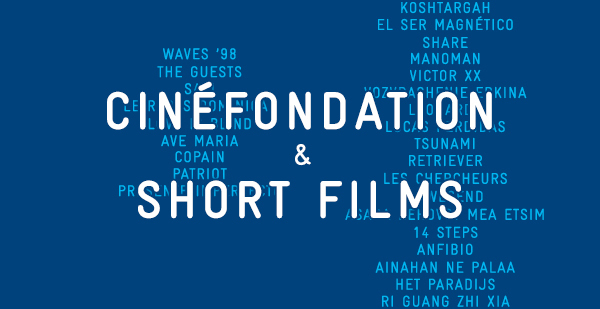 The announcement of the 2015 Official Selection will begin with the short films In Competition and the Cinéfondation Selection, in the run-up to the press conference for the 68th Festival de Cannes, to be held on Thursday 16th April. Following their deliberations, the Cinéfondation and Short Films Jury, presided by Abderrahmane Sissako, will decide on the best films both from the Short Films Competition and the Cinéfondation. This year, the selection committee received 4,550 short films – 1,000 more than in 2014 – from over 100 countries. The 2015 Short Films Competition comprises nine films (eight works of fiction and one animation), mostly from Asia and Europe, with one representative of Latin America and one from Oceania. These films are all in the running for the 2015 Short Film Palme d’or, to be awarded by Abderrahmane Sissako, President of the Jury, at the official prize-giving ceremony of the 68th Festival de Cannes on 24th May. The three Cinéfondation prizes will be awarded at a ceremony preceding the screening of the prize-winning films on Friday 22nd May in the salle Buñuel.